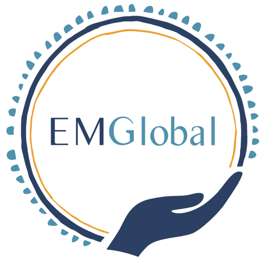 EM Global / Point-of-Care Ultrasound (POCUS) Global is a collaboration between Canadian, American, and Tanzanian physicians who share a common passion for the dissemination of ultrasound training and emergency medicine education to benefit patients and clinicians around the world. An emergency physician and Emergency Department Head at Kilimanjaro Christian Medical Centre (KCMC), a northern Tanzanian referral and teaching hospital. He has extensive training in PoCUS from his emergency medicine residency at Muhimbili Hospital and currently sits as the Chairperson of the Regional Expansion and Governance Committee (EMAT). A Clinical Officer at Tanganyika Plantation Company (TPC) Hospital in Tanzania and certified in Diagnostic Ultrasound from Kilimanjaro Christian Medical Centre (KCMC). He has a strong interest in emergency medicine and previously worked in Sudan, Taiwan, and Afghanistan as a trauma medic. He has certification in Advanced Trauma Life Support (ATLS) as well as International Trauma Life Support (ITLS). An emergency physician working in Toronto, Canada. She completed a PoCUS fellowship at Western University and is a passionate teacher and medical educator. She has a global health mindset and experience researching medical education in resource limited environments. She co-founded EM Global after discovering a shared vision with Dr. Alicia Cundall. A family physician and emergency medicine resident who spent her early childhood in Tanzania. She has a degree in International Development Studies and Global Health from the University of Toronto. She previously worked for the Ministry of Health of Zambia and has done policy work for United Nations Commissions. She co-founded EM-Global with Dr. Tatham through a shared passion in global health. An emergency physician with an interest in the rural use of bedside ultrasound. He is a Canadian Point-of-Care Ultrasound Society Master Instructor and has taught multiple courses including the Emergency Department Echo (EDE) course. Furthermore, Dr. Micks has a passion for global health and has travelled to the Philippines and India for medical work. An emergency physician and Assistant Director of Emergency Ultrasound at Duke University Hospital. He completed his emergency ultrasound fellowship at Duke University and has since established educational links to Kilimanjaro Christian Medical Center Hospital in Moshi, Tanzania. His research interests include 3D Point-of-Care Ultrasound (3DPOCUS). He is a proud husband and father to his young son Samuel. An Emergency Physician and Associate Professor at Western University. His passion lies globally where he runs the Glia Project, which seeks to provide medical supplies to impoverished locations. He also invented a low-cost stethoscope that is helping to alleviate medical supply shortages in the Gaza strip and elsewhere. His experience is an invaluable asset to the EM Global team. A full time emergency physician and the local lead of the emergency department ultrasound program at Western’s ED since 2005 and Director of its present day operations. In addition to being a Canadian Point-of-Care Ultrasound Society Master Instructor, he has lectured extensively on PoCUS and has special interests in quality assurance and resident education. This inaugural group of physicians is motivated and excited to see the success and growth of the EM Global / PoCUS Global initiative and to support the knowledge acquisition and sustainability of PoCUS in resource limited emergency departments around the world.